It's so difficult to believe how fast this year has gone by...how is it already October?! I know now that we have Charlie, time is going to fly by even faster so I'm trying to enjoy each and every second. Cherishing each and every moment is so important in our lives, but even more so in the lives of those that have been touched by any type of cancer-but breast cancer in the month of October. My Mother-in-Law bravely fought and beat breast cancer, so we especially choose to celebrate this month in honor of her battle. I always try to do a round-up of items from brands that give back, but not only do I share them with you-I also try to let you know how much of each purchase is given back and where it's given back to, because that is very important as well! BECCA will donate $8 from the purchase of each of these highlighters to the Breast Cancer Research Foundation from September 1, 2018-November 30, 2018. In honor of Breast Cancer Awareness Month, 5% of the purchase price will be donated to the Breast Cancer Research Foundation. 100% of U.S. sales benefit Bright Pink, which is a non-profit dedicated to prevention & early detection of breast and ovarian cancers in young women. 100% of Canadian sales benefit Rethink Breast Cancer, a charity that supports young women affected by breast cancer. For each spray purchased, 20% of the purchase price is donated to the Breast Cancer Research Foundation. Alex & Ani will donate 20% of the purchase price with a minimum donation of $25,000 between January 2018-December 2018 to the American Cancer Society. 30% of proceeds will be donated to Bright Pink, a leading national non-profit focused on prevention & early detection of breast & ovarian cancer in young women. Sales of this brush support the Look Good Feel Better Foundation, which is a non-medical, brand-neutral public service program that teaches beauty techniques to people with cancer to help them manage the appearance-related side effects of cancer treatment. For every duo purchased, Bobbi Brown will donate $17 to the Breast Cancer Research Foundation. For each bottle purchased, Bloomingdales will donate $19 to the Breast Cancer Research Foundation. GlamGlow will donate 20% of the purchase price to the Breast Cancer Research Foundation with a maximum donation of $50,000 between 9/1/2018-12/31/2018. An unnamed portion of these proceeds go to METAvivor. In addition, there is an entire page of Julep products in their Let's Get Closer to the Cure collection that qualify to donate. Make sure to enter the code THINKPINK at checkout to qualify your purchase as well as to receive the free Lip Addiction in Covet for free. Lilly will donate $26,000 will go to support Bright Pink. 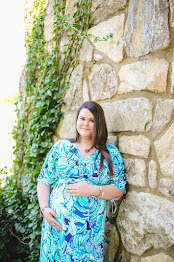 Lilly also has additional products in this "Print with Purpose" collection. Throughout the entire month of October, a portion of proceeds of these two styles of sandals will go to Breast Cancer Research. From October 1, 2018-October 31, 2018, Kendra Scott is donating 20% of the purchase price of this collection up to $125,000 to the Breast Cancer Research Foundation. In addition to that, for every piece purchased from this collection, Kendra Scott will donate a gift of jewelry and a handwritten note of encouragement to a woman undergoing cancer treatment. Shop the rest of the extensive Breast Cancer Awareness collection from Kendra Scott here. During the month of October, Vera Bradley will match every dollar you donate to the Vera Bradley Foundation for Breast Cancer, up to a maximum contribution of $100,000. Additional items are available in Vera Bradley's Carry Pink Collection, available here. I hope that you take the time to go through this list & perhaps you'll make a purchase that will donate to one of the charities that means the most to you, or just make a donation (or perform an act of kindness! ), or just say a prayer or send a positive thought to those who are undergoing treatment, are losing their battles, to the families and the friends and all of the people effected by this disease. 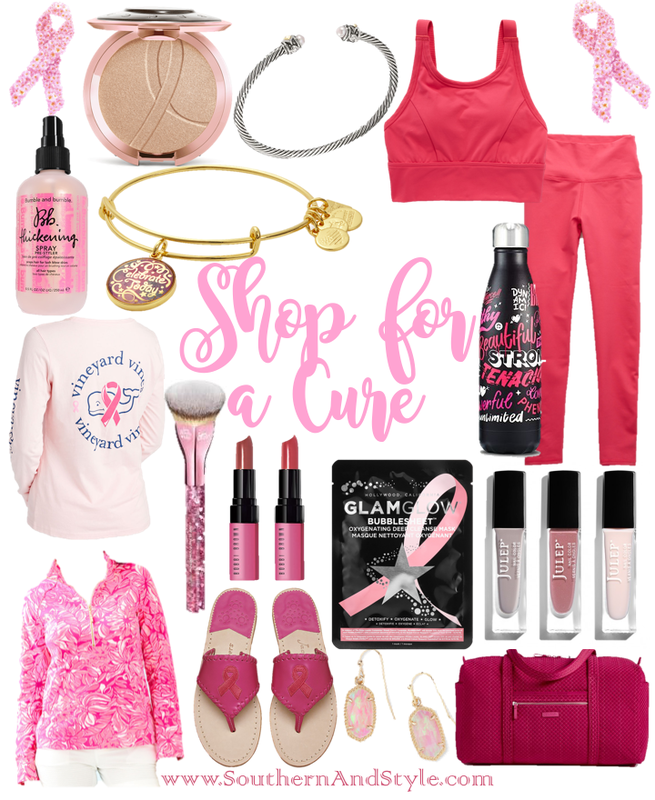 I love this- and you can't go wrong with pink for an amazing cause!